The Economic and Financial Crimes Commission (EFCC) has disowned a recent gloating tweet that announced the imminent revival of a criminal case against outgoing Governor of Ekiti, Ayo Fayose. 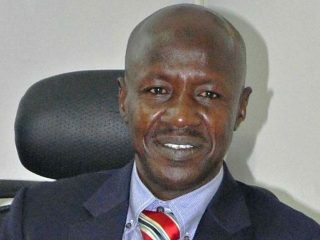 The Economic and Financial Crimes Commission (EFCC) says it has so far secured 139 convictions between January and June, 2018.Spokesman of the commission, Mr Wilson Uwujaren, made the disclosure in a statement in Abuja on Monday. 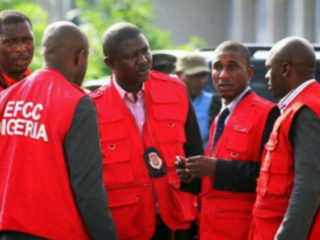 The Economic and Financial Crimes Commission (EFCC) says it has arrested a “pastor’’ over an alleged contract scam of N1.8 billion.The spokesman of the commission, Mr Wilson Uwujaren, who disclosed this in a statement in Abuja on Thursday, identified the suspect as James Ezekiel. 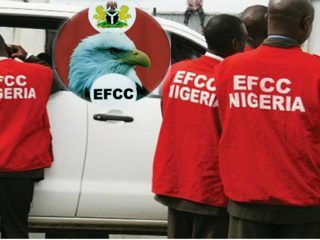 The Economic and Financial Crimes Commission (EFCC) has arrested 13 suspected Internet fraudsters for conspiracy, possession of fraudulent documents and obtaining money under false pretence. 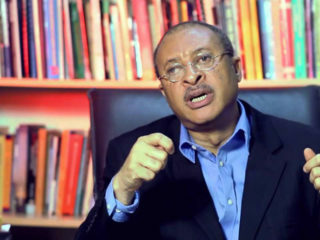 The Economic and Financial Crimes Commission (EFCC) says renown political economist, Prof. Pat Utomi, has sought its collaboration to promote government’s anti-corruption campaign in the private sector. 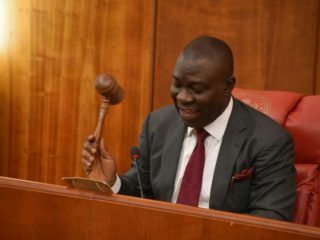 The Economic and Financial Crimes Commission (EFCC) has advised the Deputy President of the Senate, Ike Ekweremadu, to “sleep easy” if he is not involved in looting. Niger State Governor, Abubakar Bello yesterday said that the N6 billion discovered by the Economic and Financial Crimes Commission (EFCC) as proceeds of crime were funds stolen from the accounts of the state government. 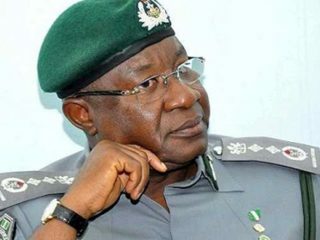 The recovery was sequel to an intelligence report the commission received that stolen money and properties suspected to be proceeds of crime were being warehoused at the former customs boss’ premises, he said. 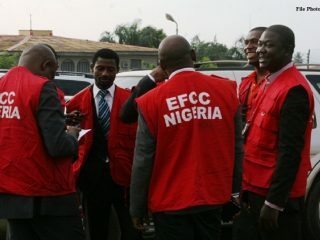 The Economic and Financial Crimes Commission (EFCC) on Friday, said it has secured the conviction of one Chidi Onouha, a serial hacker, who was dragged by the commission before a Gombe State High Court. 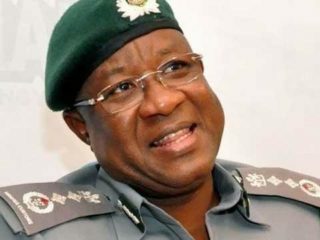 The Economic and Financial Crimes Commission (EFCC) has confirmed media reports that a former Comptroller-General, Nigeria Customs Service (NCS), Alhaji Abdullahi Dikko, returned N1 billion to the Federal Government. The commission, which denied any rift with the Attorney General of the Federation and Minister of Justice, Abubakar Malami, said that only one of the judges recently arrested by the Department of State Services (DSS) featured in its investigations. 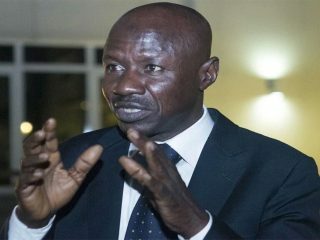 The Economic and Financial Crimes Commission (EFCC), will on Monday, begin the screening of its prospective members of staff at its zonal offices.